I often read forum posts of people asking whether they can use a telescope for terrestrial viewing instead of a spotting-scope and also about a recommendation for such a telescope. The usual answer is “yes you can use most telescopes – with the addition of an image erecting diagonal” and also “go with a Maksutov type”. While I agree that most telescopes are usable for terrestrial viewing, I should warn that each type, including Maksutovs, has advantages and disadvantages. First, I will list the various kinds of telescopes and discuss their suitability as well as any advantages/disadvantages. Note that most astronomical telescopes are paired with “equatorial” mounts, which are good for tracking the stars, but for terrestrial viewing you have to go for a simpler and actually cheaper, “alt-azimuth” mount. The simplest “achromatic” refractors are relatively inexpensive instruments. Their design suffers from the inability to focus all colors at the same plane, something called “chromatic aberration” and is easy to see at the edges of bright objects. One simple solution to reduce this effect is to increase the focal length of the refractor, so refractors at around f/9-f/10 (focal ratio = focal length / objective lens diameter) don’t show much of an effect. But they are of course long (a refractor’s focal length is pretty much the length of its tube) and a little on the heavy side, plus they don’t offer a wide field of view – they are made for relatively high magnification. Decent quality views, comfortable high-magnification. Good contrast and not much chromatic aberration compared to short refractors. Very long tubes, relatively heavy. Not very portable. Same principle as the long-tube achromatic refractors, the short ones (f/6 or less) give you wide fields of view, more portability, but have more pronounced chromatic aberration. Some people are more annoyed by this than others and the effect also depends on what you are observing (sharp edges between bright & dark objects are more affected), but it cannot easily be fixed in post-processing, so bear that in mind if you are considering photography. For high-magnification you would need barlows and/or expensive eyepieces. More complex and expensive refractors that virtually eliminate chromatic aberration. Depending on whether you want wide-angle views or high magnification you could find short/low f-ratio models or longer ones respectively (losing portability). They will give you the best possible image visually and photographically, but they come at a high (or very high) price. Can be portable & wide-field if you want. When we are talking about catadioptric reflectors for terrestrial viewing, we mainly refer to Maksutovs (the big SCTs also, in general principle, behave a bit similar for our purposes – but they are mostly non-portable instruments). In fact, there are many Maksutov spotting scopes, which are pretty much the same optics as the astronomical ones. Their main advantage is that they are very compact compared to their focal length (i.e. can give you great magnifications in a short tube) and that they do not suffer from chromatic aberration. However, they do have significantly less contrast than refractors, which is something to take into consideration. It would probably not be a problem if you are doing photography (you shoot in RAW and adjust contrast later), but it might be worse than chromatic aberration for viewing. Also, the focuser which moves the primary mirror is harder to fine-focus compared to a good refractor focuser. Finally, if you are after wide-angle views, forget Maksutovs. Position of eyepiece very unsuitable. Might not even focus with an erect diagonal. May not be easy to attach camera. How do actual spotting scopes compare? There are 3 main types of spotting scopes. As mentioned above there are Maksutovs, which optically perform identically to the astronomical Maksutovs, the low-end refracting spotting scopes which perform similar to the short-tube achromatic astronomical refractors, and the high-end apochromatic / ED which perform similar to the astronomical APO refractors. So this comparison should give you an idea about the different kinds of spotting scopes as well. What the spotting scopes have extra is the waterproofing and ruggedization (and a zoom eyepiece – which you can add to an astronomical telescope), but most lack some things you’d want for astro-observing (finderscopes, planetary eyepieces, star diagonals) so astronomical telescopes probably make better dual-use instruments (unless you want to use them under heavy rain). All this “low contrast”, “chromatic aberration” etc talk sounds very theoretical and for someone that has no experience with telescopes might not mean anything, which makes most of our discussion so far less helpful. So how about “seeing” through various kinds of telescopes to get an idea of how they perform and what exactly I have been talking about. I will post photographs at default settings unprocessed as much as possible (apart from resize) to demonstrate what I see through the eyepiece. 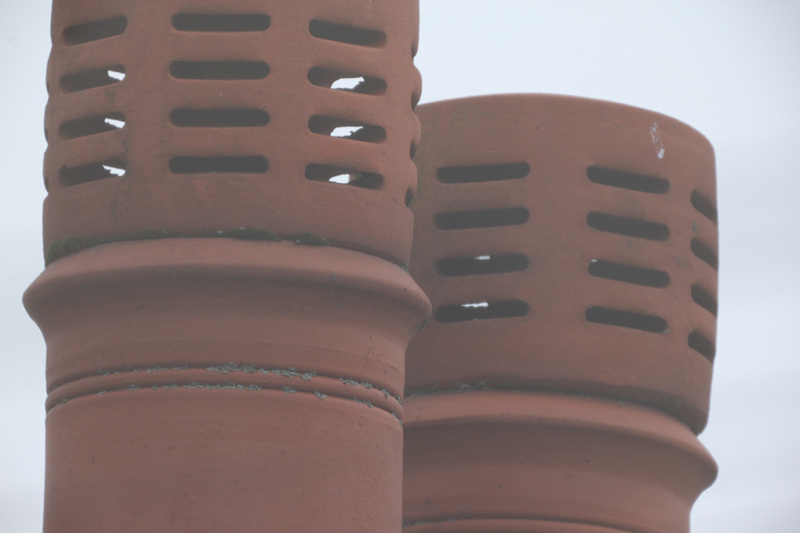 The photos are of smokestacks about 100m from my back yard. There are some cables between me and the smokestacks if you are wondering what those blurry shadows are. Indeed it is pretty great, you can see good detail, nice colors given that it was an overcast day. So, if you don’t want to be impressed with spectacular high contrast views but don’t mind post-processing photos to bring out detail and colors, you can save quite some money going with a Mak. Don’t mind much the less clear details, which is more a matter of small objective lens and low quality optics. But do notice the color tinge (mostly purple) at the sharp edges around bright areas (e.g. 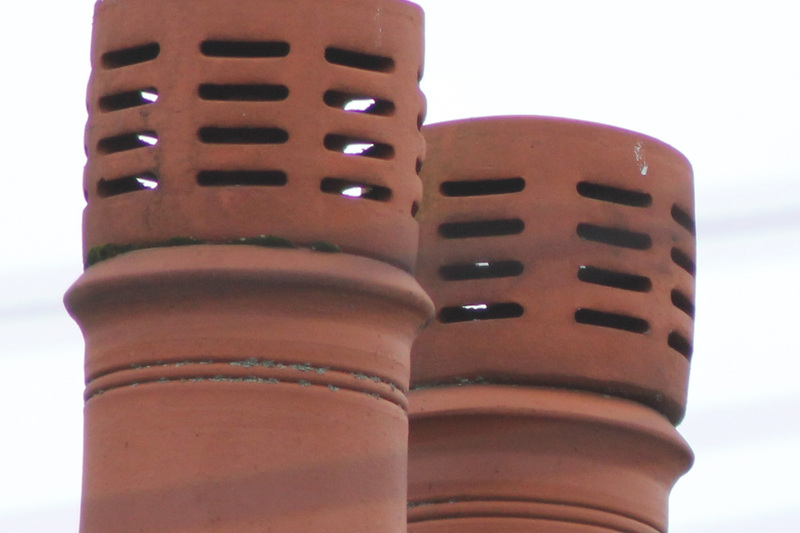 the holes in the smokestack). 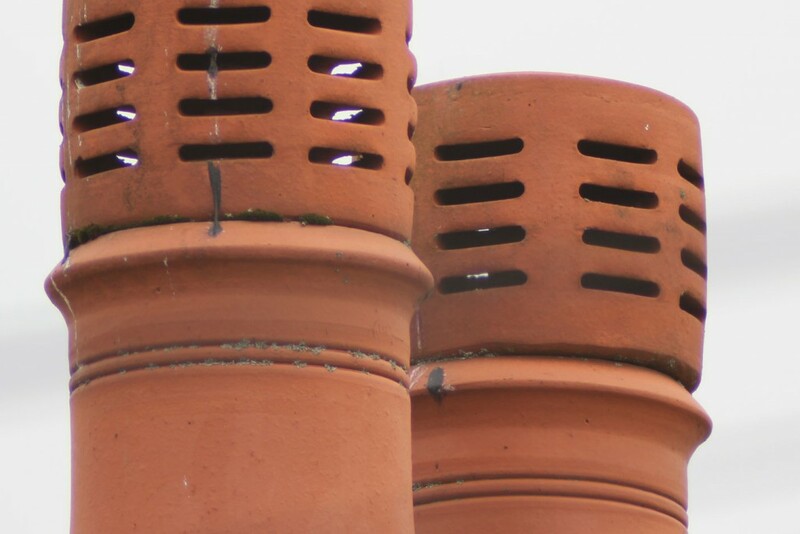 This type of image issue might be less annoying than low contrast (depending the observer), especially if you are not looking at scenes where there are bright objects, however it cannot be removed from photographs (at least without significant effort). A filter can be used to reduce the effect, but it will throw off the color balance. The longer tube of the achromatic refractor (greater focal length) the less of this effect (and the less portable the instrument becomes). As you can see, this is a big improvement over the small 70mm refractor. In fact, the Evostar 90 has more light-gathering power than the 80ED, so it will give you a bit brighter image at high magnifications. However, you definitely lose sharpness compared to the ED/apochromatic and you can easily see the color fringes (e.g. around the “holes”) – so don’t count on photography awards. Still, for the budget conscious, this is a great scope and a lot of people will actually prefer looking through it than a more expensive Mak – as the higher contrast more than compensates for the color fringes and slightly less detail. People who are not familiar with telescopes are under the impression that the best judge of an optical instrument is its magnification power, or “how many times closer does it bring the subject?”. But it does not exactly work like that. A telescope can theoretically give you any magnification you want by using the appropriate eyepiece and perhaps barlow lens. Whether you can actually use that magnification is another matter altogether. Firstly, there is a theoretical “maximum usable magnification” for each scope that depends mostly on the size of its aperture and its type. You might have heard this as the “50x per inch of aperture” rule. Well, it sort of works for up to 5-6 inches of aperture the value is probably more than 50x for refractors, but less than that for reflectors. However it assumes that the atmospheric conditions are excellent so there is no “turbulence”. For terrestrial viewing, especially in hot summer days, the conditions are far less than excellent. Furthermore, the higher the magnification you use, the sturdier your mount and tripod have to be, otherwise the slightest touch will give you big vibrations making even focusing a difficult task. In any case, even with good conditions and a steady mount, the greater the magnification, the dimmer the view, which means that from a point on you will prefer to have less magnification for a brighter view. In general I would say you should expect to use up to 100x-150x if you use at least a 80mm apochromatic/90-100mm achromatic/127mm Mak. Even with a really big and good quality telescope (or any optical instrument) and expensive/solid mount do not expect to be able to use more than around 250-300x – the atmosphere will not allow you to see any more detail. To calculate what magnification an eyepiece will give you, divide your telescope’s focal length by the focal length of the eyepiece. E.g. a 25mm eyepiece will give you 1000/25=40x on a 1000mm focal length telescope. You can’t use an arbitrarily small focal-length eyepiece – from one point on they become uncomfortable to look through (you have to stick your eye on them tightly). Cheap eyepieces are comfortable down to around 10mm, like the 10mm “MA” type (modified achromatic) that is included with many Skywatcher, Celestron, Meade etc telescopes. For a little more you can get a UWA (ultra-wide angle) eyepiece that is comfortable down to around 6mm. If you need more magnification, instead of a smaller focal length eyepiece, you will need a “barlow” lens, that works as a multiplier (2x, 2.5x, 3x etc are available), although it might lower the quality of your view (not so much at night, but in my experience barlows introduce reflections during the day). If you want to use over 100x, a short-tube refractor (less than 600mm focal length) will not be a good idea. I assume you will have figured out that many telescopes can be used for terrestrial viewing in general, but if you have a particular application in mind, not all of those are suitable or optimal. 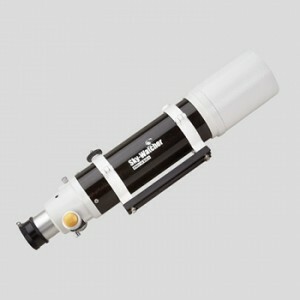 If you are looking for a telescope to use in daytime, I will try to make a few recommendations. They will mostly refer to the European market, otherwise you will have to figure out the equivalents (you can post a comment if you need help with that). Sometimes telescopes are sold as a package of the mount/tripod along the actual “tube” called “optical tube assembly” (OTA). If you have to get a mount/tripod separately, a common low-cost option is the Skywatcher AZ3 (available at FLO among others), or the more heavy duty Skywatcher AZ4 (at Amazon.co.uk with aluminum or sturdier steel tripod – the US equivalent is the Orion VersaGo II). If you would like astronomical usage as well, you can go for the computerized/goto Skywatcher Synscan AZ (at Amazon.co.uk). However, it will be much cheaper if you get a telescope package that includes a mount, so try for that first. Also, for very small scopes, like a 80mm short-tube, a heavy duty photographic tripod might be all you need. This is a very long discussion. Usually telescope packages contain at least a 25mm and a 10mm eyepiece to get you started, and those should be good enough at first. One thing you will definitely need is an image erecting diagonal – otherwise you will be seeing things upside down. So, if it is not included you have to get one like this (or for US). Finally, if you think you want more magnification, after trying the included eyepieces and making sure that they give you a bright and clear image that could use a magnifier, you can try out a 2x barlow like this (US) – although if you want a good quality barlow that does not degrade image quality you should probably go for something like a TeleVue (Amazon.co.uk – Amazon.com). You will be disappointed to find out than when you buy a typical (astronomical) telescope and it comes with a finderscope, it will most likely give you an upside down view. So, if it is not included but needed, you will have to get an erect image finderscope. For course, for wide-field, low power use, e.g. a short tube with a large focal length eyepiece, you will not need a finderscope at all. I will break it down by specific usage senarios. You will note that I list mostly Skywatcher models. This is because for many categories of telescopes they are the best-priced offerings available in Europe. Note that Skywatcher, Celestron, Orion (and I forget who else) are all the same manufacturer (Synta), so expect similar quality with the Skywatcher models sometimes lacking a little “finish” to lower the price. Best possible image quality, visual or photographic, high budget. You should go for an apochromatic refractor, from around 60mm to 120mm objective lens diameter, depending how big (thus less portable) it has to be and how much you want to spend. A very popular, relatively portable and relatively low cost choice is the Skywatcher 80ED. It would cost you a little over £400 (e.g. Amazon.co.uk) without mount/tripod and at f/7.5 (600mm focal length) it is a good balance between wide-field and high magnification. If you can spend (£1000) and carry more (5+ kg), there is its big brother, the Skywatcher 120ED (FLO). Both can give you wider fields with a reducer/corrector that costs around £150. In the US, you can find the Skywatcher currently on Amazon, as well as the optically similar Orion ED80, which, while cheaper, lacks any accessories and has a worse focuser. If your budget is very high, you can get something that has even better optical quality and is also quite portable, like the Tele Vue 76 – a favorite among people who do both astronomy and birding. High magnification, low price, low portability. A long-tube refractor will do all that. Currently, for less than £140 you can get the Skywatcher Evostar 90 AZ, complete with the AZ3 mount, eyepieces, erect diagonal (e.g. Amazon.co.uk). Unfortunately you can’t get it in the US. The closest is probably the Orion StarBlast 90, which is a bit shorter (that might not be bad) and lacks an correcting diagonal. Wide-field, low price, portability. Possibly high-magnification non-photographic use. A short-tube refractor fits the bill. You will have to live with the discussed chromatic aberration, but if you can’t afford an apochromatic there is not much you can do. High-magnification is not the recommended usage, but some people might prefer it for high-mag visual usage over a Mak for reasons previously analyzed. A popular model is the Skywatcher StarTravel 102 – packaged with AZ3 mount/eyepieces diagonal for less than £200 at Amazon.co.uk (the closest for the US is the Meade Infinity 102). 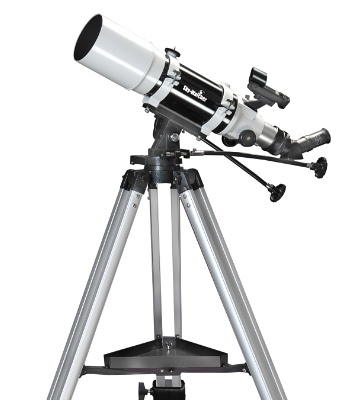 If you would like it for astronomical usage as well, it comes with a Synscan computerized mount (around £300 at Amazon.co.uk), while the equivalent Celestron Nexstar 102 SLT is a bit more expensive in Europe (Amazon.co.uk), but it is a good choice for the US (Amazon). Now, if you want something still bigger, the larger brother is the Skywatcher StarTravel 120 (£250 complete package on Amazon.co.uk), while, on the other hand, for something smaller you can look at the Skywatcher StarTravel 80 (£120 package on Amazon.co.uk). High magnification, portable. Better for photography. The Maksutov’s disadvantages have been discussed. It will offer the least wide-angle views of all types of telescopes and is better for photographs where you can adjust contrast/saturation than visual use, but the advantages for price/aperture and portability are there. First of all you can get one that is sold directly for terrestrial use (includes erect diagonal and finderscope) like the Celestron C90 (around £150 from Amazon.co.uk / $170 on Amazon.com). Skywatcher has the Skymax 90 (UK – US), 102 (UK – US), 127 (UK – US) and 150 (UK – US), which are cheap (especially in Europe – in the US look for the Orion 90, 102, 127) but don’t include the erect prism. 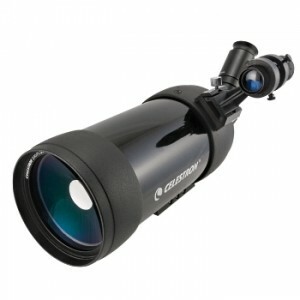 If you would like astronomical use as well, you should go for the computerized models: the Celestron NexStar 90SLT (UK – US) or, for a bit more light-grasping capability, the Celestron NexStar 127SLT (UK – US). Oh, and there is a C70 model if you want something really tiny. « Polar Scope Align 1.0 for iPhone and iPad released. Good comment. Would be better if the target was at least 1km away. Because any bad telescope can produce a reasonably good image at short distances. C\A will be more prominent if a black object was selected as the target. (Because, here, all images appear to be well corrected for C\A ) Even I was thinking these days about a long distance item for terrestrial viewing. I have several binos including a good quality 12×50. Now I want a scope for long distance viewing and sky watching. After studying for several weeks, I concluded, that a good quality telescope will be my best friend. Your study helped me to find good item. 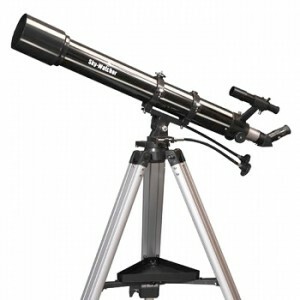 When search for telescopes, I found, so many items say.. below 500$. Wonderful …… How the manufacture give such an instrument like a telescope for such a lower price? Definitely they should be low quality items. How difficult it is to make a well corrected objective lens or mirror? Thanks for the comment. I was a bit limited by what I could see from my back yard, so it was not the optimal setup. At least you can still see the CA on the achromats, even if it can be even more pronounced in other situations. Hello thanks you for this article, I am searching for a telescope which is better than the nikon p900 camera for zooming to the object on the horizon, In fact I dont even know how to compare the zoom of this camera to a telescope, the Evostar 90 AZ is better? Hi. The comparison is not straightforward. You see, what you perceive as the “zoom” of a lens/camera system, depends on the focal length and the size of the sensor. For example, the P900 has a lens with a 357mm focal length. The reason it is listed as “2000mm equivalent” is that this camera’s sensor is tiny so it is like it is cropping the view of a larger sensor (it does have a great resolution and not bad quality so you can’t easily tell in many occasions especially when there is a lot of light in your scene). In comparison, the Evostar 90 has an actual 900mm focal length. Used with a small sensor like the P900’s, it would offer a field of view (or apparent “zoom”) equivalent to a 5042mm lens for a 35mm camera, or 2.5x of the P900’s max. However, that would be at f/10 – if you used a 0.65x reducer to bring it to f/6.5 (which may lower the quality depending on the specific reducer), then you’d have an equally fast lens as the P900 at about 1.63x the “zoom”. I am not sure about the relative quality though, I’ve never used a P900 to see how sharp and free of chromatic errors it is. But, all that is rather theoretical, as you cannot remove the P900 lens (as far as I know), so you would not be using the same sensor and the comparison would have even more variables. For example, if you went to a larger sensor of a DSLR, you would thing that the Evostar 90 offers a lower “zoom” as you would see a wider field of view (e.g. equivalent to 1400mm on a DSLR with crop factor 1.6), however, depending on the DSLR the part of the image that would be the P900s field of view may actually be better. If you are only interested in imaging, perhaps also look at the Maksutovs which generally offer the most magnification (with the contrast drawback that you fix in post-processing) and good portability, although they are over f/10. I hope this helps a little instead of confusing you more! But, as I said, it is not a simple answer. But how to compare the sensor of the P900 with the sensor of the telescope which is..my eyes no?